I always have a good time when the girls from The Coveteur stop in. 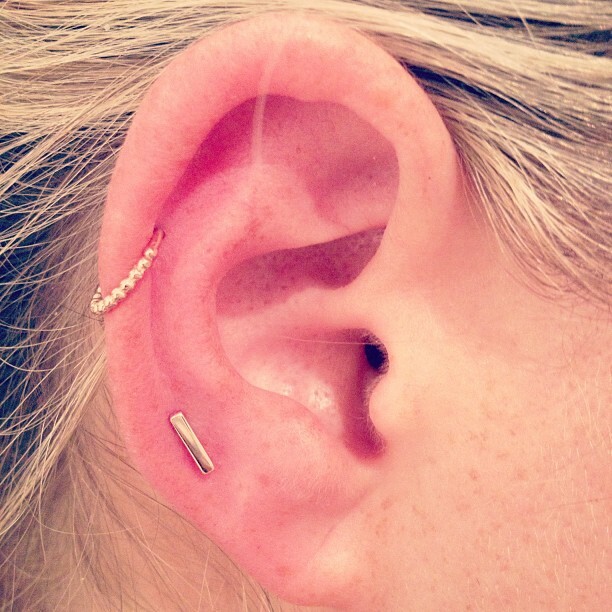 YG beaded seamless in the helix and YG bar in the lobe. Great combo. I agree with you, its really a great combination. These earnings inspired me to get my ear lobes pierced too.